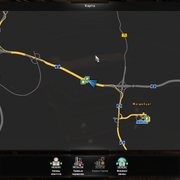 I use several map mods together, and some of them are ProMods 2.32 and RoExtended 2.0 (ETS 2 of 1.33.2 version, Steam license) (also: YKSRSK, Southern Region, RusMap, Volga map, EAA, Africa map, PJ Indo map, The Great Steppe, Swedish Islands, map addons and fixes...). But there is a problem - prefabs near gas stations in Germany disappear. It doesn't affect gameplay, but looks awful. I tried different priority variants in the mod manager, but none of them helped. Once I turn off RoExtended (with YKSRSK), this problem disappears. it here to the post! 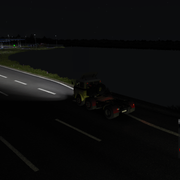 It's benn discsed over this forum the problem of missing terrain in Promods + Roex. I suspect a prefab from road connection (not updated) but i still i'm not convinced of this. Will see in near future. There may be a fix coming but for now thats how u can get rid of the missing textures near gas stations. It worked for me﻿"